Vietnam has issued its second rebuke in a week to Beijing, accusing its northern neighbour of "threatening peace" after more Chinese aircraft landed on a contested reef in the South China Sea. Chinese state media on Wednesday said two civilian planes landed on one of the islands in the Fiery Cross reef in the disputed Spratly Islands, which are claimed by Hanoi but controlled by Beijing. The landings are "a serious violation of Vietnam's sovereignty and threaten peace and stability in the region", foreign ministry spokesman Le Hai Binh said in a statement issued late Thursday. The two "test flights" Wednesday follow an initial aircraft landing on Saturday, which prompted the first formal diplomatic complaint from Hanoi. The planes departed from and returned to the city of Haikou, the capital of the southern island province of Hainan -- a two-hour journey each way. The flights have raised alarm in the region and attracted criticism from the United States, with the Pentagon warning Thursday that the move would raise tensions in the disputed waters. The Philippines has also said it would file a protest. 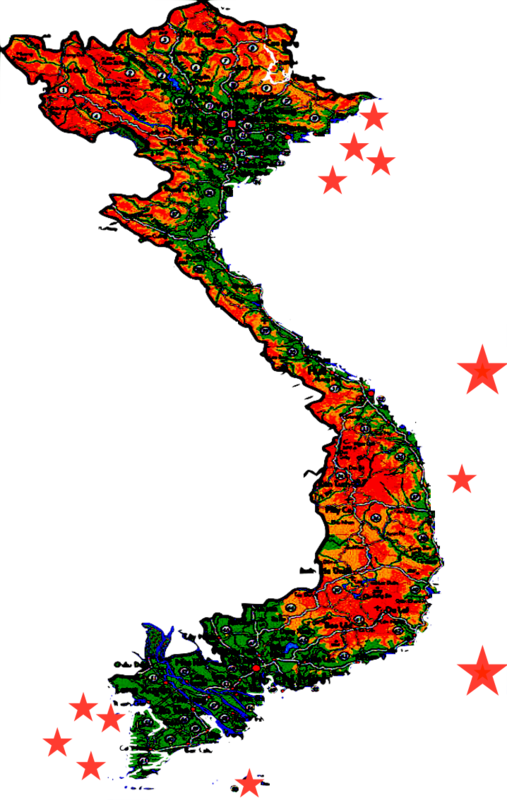 Binh said Vietnam has asked China "to immediately end similar acts... that expand and complicate disputes". China claims virtually all the South China Sea, while the Philippines, Vietnam, Malaysia, Brunei and Taiwan also have partial claims. China has asserted its claim by rapidly building artificial islands, including airstrips said to be capable of hosting military jets. Several other claimants, including Vietnam, have also built facilities on islands they control, but at a significantly slower pace and smaller scale.